The chapters of both McKenzie books relate to each other; chapter one lines up with chapter one, chapter two with chapter two….and so on, in each book. I have placed the three questions on a fresh page after each short devotional in McKenzie’s Companion (A Life Changing Journey with Jesus) leaving about one-third of the page blank under each question for the answers. In this way, the book will also become the workbook for group or individual study. There are some blank pages around the middle of the book for personal notes. With fifty chapters, at one per week, the ‘course’ will take a year to complete (allowing for two weeks off). "This is a fantastic book but I must correct something that the author wrote. In the foreword he states that, with 50 chapters, you can read one a week for a year. I don't see how. I couldn't put it down and read it in one go! It's part James Bond and part The Confessions of St. Augustine and part the travels of the Apostle Paul. Thanks Peter for such a riveting read. Still thinking about it and pondering the lessons and stories in it. I think the book is a classic! So well written and strategically done." http://www.peterstanwaybooks.com/buy.html or click the Add to Cart button below. In this introduction to the McKenzie series, we travel the globe and enter into the fascinating world of McKenzie. 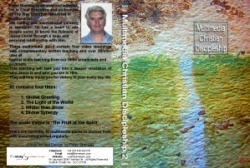 Peter has written this book to reach those who are not Christians. In an intriguing and breath-taking diversity of adventures, the central character, McKenzie, goes through all kinds of spiritual and emotional experiences; some amazingly good, others frighteningly bad. 'Wee Boys from Glasgow Don't Cry' On Sale NOW! Buy Wee Boys from Glasgow Don't Cry - NOW! Wee Boys from Glasgow Don’t Cry is a challenging real-life roller-coaster story of survival and victory. In the twilight zone of drugs and alcohol, Peter spirals deeper into a desperate lifestyle with no holds barred. On the run with another man’s wife, extreme personal transformation is just about to hit him! Completely dysfunctional from years of hedonism he is thrown a lifeline from where he last expected. With no options left, Peter grabs the outstretched hand of Jesus. The power of God knocks him to the floor. When he gets up he is totally changed. The real adventure is about to begin ….. Receive our multimedia discs each month containing four video teachings with complementary written teaching and over 30 minutes of topical audio teaching from our radio broadcast for only £9.99 per month. There are currently 15 multimedia packs to choose from with more being added regularly. topical audio teaching from our radio broadcasts and podcasts. This teaching will take you into a deeper revelation of who Jesus is and who you are in Him. They will help equip you for victory in your every day life. Available in English, Nepalese, Spanish, Korean, Telugu, Urdu and Kiswahili. 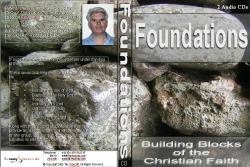 After completing the ‘Foundations’ course the next stage of TFL is to work through a short Bible Reading Course (that can run over a seven weeks period).This course is taken from The Way of the Spirit Bible Reading Course and it will enable the dynamic disciple to read the word of God for the life that it contains. It will bring deeper revelation of Jesus Christ through God’s word. This hot-off-the-press commercially produced booklet contains 31 Gists in Swahili - that's one for every day for one month. 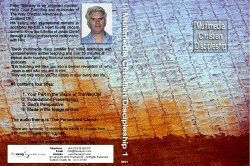 It is an ideal devotional aid for new and mature Christians alike. This hot-off-the-press commercially produced booklet contains 31 Gists in Telugu - that's one for every day for one month. This booklet produced in Nepal contains 22 Gists in Nepali plus the 7 sets of questions for the Foundations Course. Who is God and what is our relationship with Him? Who is Jesus and who are we as new creations in Him? 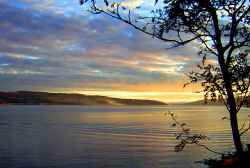 What do we have as born again believers and how can we live in the fullness of that?